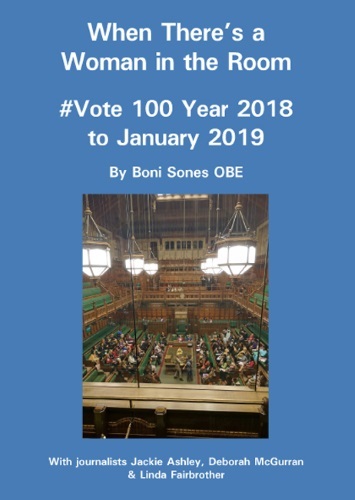 In this her fourth book in 15 years on the work of women MPs in the UK House of Commons Boni Sones OBE draws her own compelling 25,000 word political sketch of the issues that came to the fore for women in #Vote 100 year from January 2018 to the end of January 2019. Brexit dominated the parliamentary proceedings but by taking herself to the Westminster Hall debates, and picking up on the Wednesday Questions to the Prime Minister, #PMQs, Boni was able to secure interviews with over 70 women MPs across party to reflect up to ministers and policy formers the concerns of women in the wider society across the four nations of the UK. Boni was also there to record interviews and turn them into compelling web documentaries at the #Vote100 year events throughout 2018 that acknowledged the achievements of women across the Century as they celebrated 100 years since women were first given the right to vote and first allowed to stand for parliament. There is also views from across the political spectrum on the #Brexit Bills and debates throughout 2018. This new edition of our third volume takes our readers up to the end of February 2018 and includes the #Vote100 Celebrations to mark 100 years of some women in the UK gaining the vote for the first time. This book is a sequel to our second book "When There's a Woman in the Room - Women MPs Shaping Public Policy" and Part Two follows a similar format to our previous publications. This time it is organised in chapters by party affiliation rather than by themes but given that a General Election was about to be fought along party lines and that the referendum and now the act of Brexiting the EU is so contentious it does allow the reader to see the issues being championed and where the support came from. Again we mainly focus on women MPs who are independent of office allowing straight forward replies to questions we put. 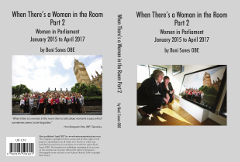 This third volume is a sequel to our second book "When There's a Woman in the Room - Women MPs Shaping Public Policy" and Part Two follows a similar format. This time it is organised in chapters by party affiliation rather than by themes but given that a General Election was about to be fought along party lines and that the referendum and now the act of Brexiting the EU is so contentious it does allow the reader to see the issues being championed and where the support came from. Again we mainly focus on women MPs who are independent of office allowing straight forward replies to questions we put. The themes of childcare and parenting, women's representation in public life, equal pay and low pay, violence against women and domestic violence, women in the Cabinet and the shadow cabinet, the men supporting women, international issues including a vote on intervention in Syria, and the weekly Prime Ministers Questions are again reported on. We have conducted 115 interviews across party nationally Cons (41) Labour (52) LD (8) SNP (8) Green (3) WEP (1) Plaid Cymru (1) SD Labour NI (1) and 70 locally. As we go to press a policeman has been stabbed to death at the gates of Westminster and Theresa May has just triggered article 50 the formal written notification that Britain wants to leave the European Union in the wake of the 2016 Referendum vote to leave. How history will judge Britain's second only female prime minister remains to be seen but these are turbulent times. The front cover of this book shows her in those photographs we commissioned in 2008 to celebrate 90 years of women and the vote taken by Kieran Doherty. Standing beside the Labour politician Maria Eagle, Theresa May is looking at a photograph of all the Labour women in Parliament then with Labour's own group photograph also shown on the back cover. Doherty, formally of the Reuters News Agency famously photographed those 101 Labour women standing around their Prime Minister Tony Blair soon after the May 1997 General Election. More information about these photographs, our national archives and previous publications and our international award can be found in the Appendix with links. 2017 will be the tenth anniversary of our broadcasting both www.wpradio.co.uk and www.parliamentaryradio.com. Next year will be 100 years since women won the right to vote and Suffolk's suffragette Millicent Fawcett is to get her own statue in Parliament Square. You can read about her work and that of her Garrett Anderson family in the final part of the book. I hope the legacy of our work passes down to my family and friends: Tanya, Jenna, Guy Barnard and Anastasia de Waal. I thank them for their support. "Many thanks for your latest update. Congratulations! Delighted to see lots more. I'm very happy to provide a home for all the interviews. Very glad you are keeping it going" Best wishes Dr Paul Seward, Director, the History of Parliament Trust. "Your Third book is a fascinating read - I have been reminding myself what Labour women achieved in government," Caroline Adams, Women's Parliamentary Labour Party. It has been a really rewarding seven years of broadcasting with www.parliamentaryradio.com and previously www.wpradio.co.uk across party with men and women MPs on issues of concern to women and families. Our 350 audio interviews can now be read about together with an MP "Hot Quote" beside each report in this new book. There are international interviews too with women parliamentarians in Europe, Africa and Asia. Best wishes" - Dr Paul Seaward, Director, History of Parliament Society. "Boni, your book is such a fascinating read, and one which I will be referring to on a regular basis." 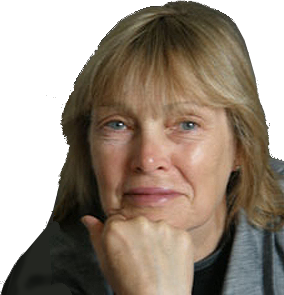 - Caroline Adams,Women's PLP. You can order this book by emailing bonisones@gmail.com. 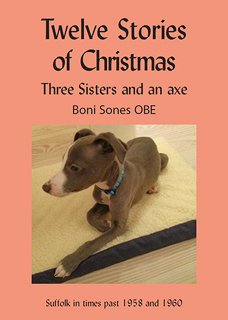 You can read my new creative book on Suffolk, 'Twelve Stories of Christmas - Three Sisters and an axe', telling tales of growing up in an end of row Artisan's cottage on Common land at Sizewell in the late 1950s. As children we managed to do most things ourselves, and left to our own child like imaginations we even managed to steal an axe from our Dad's garden shed to chop down our own Christmas tree each year from the local woods and drag it home in the light of the moon, to avoid the shots of the gamekeeper. This follows my other creative works on Suffolk in the 1950s. Thanks to the East Anglian Daily Times for publishing one of these stories last Christmas. "As a poetic writer I find solace in writing about Small Town News, and relevance, and neither do I think I am alone in this. When Radio 4 asks listeners to send in their headlines for the day, family celebrations, anniversaries and even birthdays, walking and talking head their list of "events". I am certain that there is an appetite for small stories in national news, not just on the World Service, which I and my friends delight in listening to. We more often talk about a World Service report these days than a domestic news one. We unanimously agree on the reason. World journalists seek out and find real stories, real people, triumph over tragedy, heroism in the face of adversity, not just the violence and bloodthirsty atrocities but the decent human one-to-one actions that make life good. "So no apology from me in my 60th year if I again tell you of my Small Town News, the family celebrations, the Metropolitan Operas and National Theatre Live events at the local cinema in Cambridge or Aldeburgh, with friends!" Family life blossomed for many of us in 2012 with the coming out into our streets for the Jubilee celebrations and then the London 2012 Olympic Games. These “20 Stories From The Home Fires 4 2012” continue a theme of my writing for many years of the love of family, and friends, god-children and just “talking” and being together. What fun! So often those little acts of togetherness go unrecorded in an age of the relentless reporting of global brutality yet I am sure that companionship, love, and those very small acts of reciprocity that pass between us all on a daily basis need to be “reported” too. From my own front-line, from my own desk and my own room with a view, looking out onto the garden and autumn trees leaves falling I bring you my more “mundane” news of my family and friends. When much isn't sustainable, acts of reciprocity are. Food on the Table - All in 1 is dedicated to the skill of the cook in her kitchen, who prepares "Food on the Table" from whatever inspiration surrounds her to combat austerity and create from necessity!. Dear Alex - All in 1 are stories written for a young friend - an only child- who wanted to know what it was like to have a sister. Of course I know much about these. And "Dear Alex" Sisters bite! A sequel to The Mermaid's Tale - A Portrait of Suffolk and Two Mermaids Together, published in 2009. All4Now charts my Mother's final year and is a tribute to her and my childhood in Suffolk. Read of Suffolk in the 1950s as we lived intuitively "off the fat of the land" in the shadow of the arrival of Nuclear energy on our jewelled landscape. The love of family and friends has inspired this series of short "oral" stories much like Garrison Keillor wrote in "Lake Wobegon days". The arrival of Blair's 101 Labour women to Westminster in 1997 changed British politics. 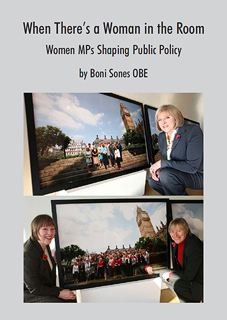 This book allowed them and other women MPs across party to tell their own story. I was happy to facilitate and write this. Thanks to Methuen for publishing. These books are available to purchase at Heffers Bookshop in Cambridge, The Aldeburgh Bookshop and The Westminster Bookshop, Artillery Row, or by emailing us. 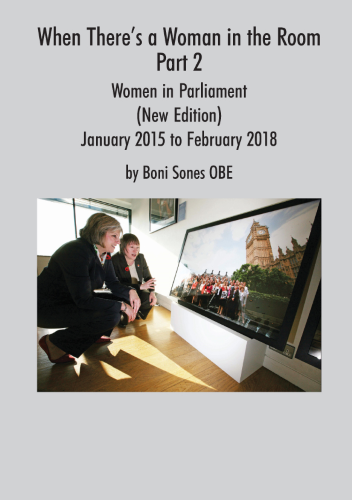 Reviews of "The Mermaid's Tale" and "Two Mermaids Together"
Reviews of "Women in Parliament - The New Suffragettes"
© Copyright Boni Sones OBE. Website proudly designed by Treefrog Web Design.